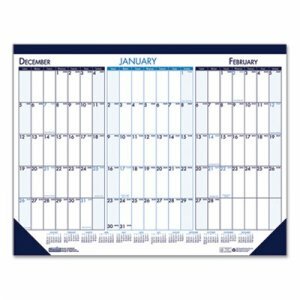 January - December featuring 12 months for easy planning. 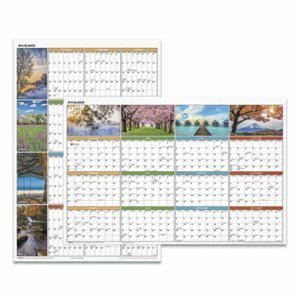 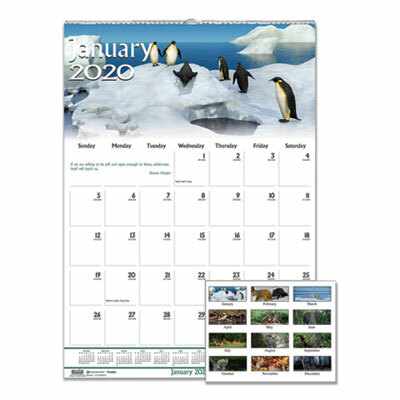 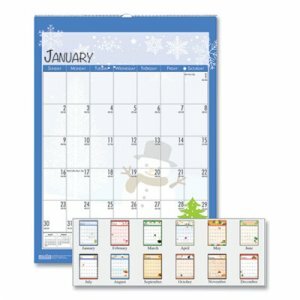 Each month features a different lively design depicting the holidays and seasons of that month. 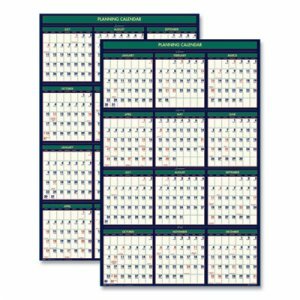 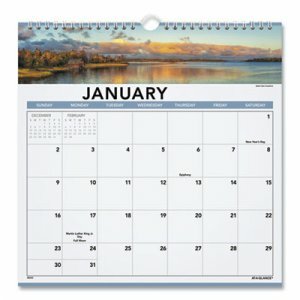 Full 12-month calendar for longer term planning. 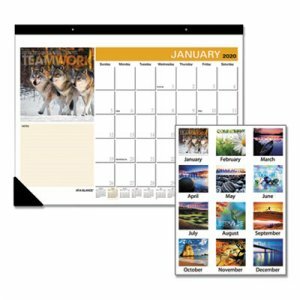 Strong wire binding firmly keeps the pages together in one place. 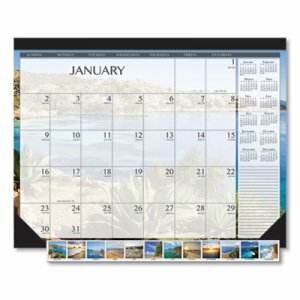 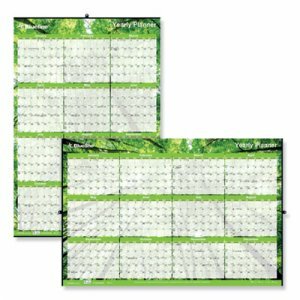 Includes a wire hanger to easily hang the calendar on the wall. 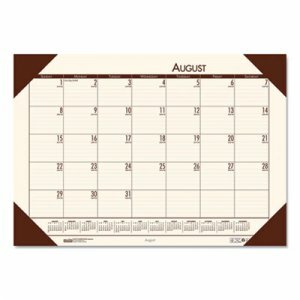 Julian dates and days remaining for quick reference.